We love riding bikes in all conditions and sometimes they get quite dirty. 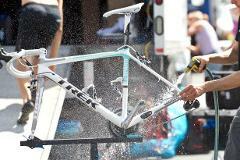 It's important to know how to get your bike and its drivetrain all cleaned up. A clean bike not only looks great, it performs better and lasts longer! 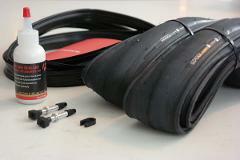 Ever wonder what tubeless tires are and how they can improve your riding experience? Check out our tubeless tire clinic! This clinic will cover the benefits of going tubeless and teach you how to do your very own tubeless setup.